Shopping for a little girl? Choose from our huge range of dolls, dollhouses & accessories online at Yogee Toys. A wide range of dolls and dollhouses will inspire your child’s pretend playtime! Firehouses, restaurants, cottages, farms and more will set the scenes for the endless scenarios kids can imagine! Furnish your children’s dollhouses with bedrooms, kitchens, nurseries and mini playrooms for fun props kids can use to play pretend. Families and figures from Pintoy and Sylvania are the stars of the show—kids will use these characters to create fantastic scenarios! 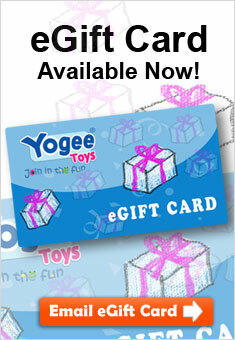 Your child will love playing house with perfectly sized miniatures from Yogee Toys!